Honestly, I breathed a sigh of relief when I learned about the clean up order weeks ago as I personally see how Boracay has degraded over the years. I personally support the rehabilitation efforts but I have a mixed feeling about the closure. Anyway, I'll not go into details about that in this post, but in case you're undecided if you're pushing through with your trip or not, let me tell you that there are other options near Boracay that you could go to. 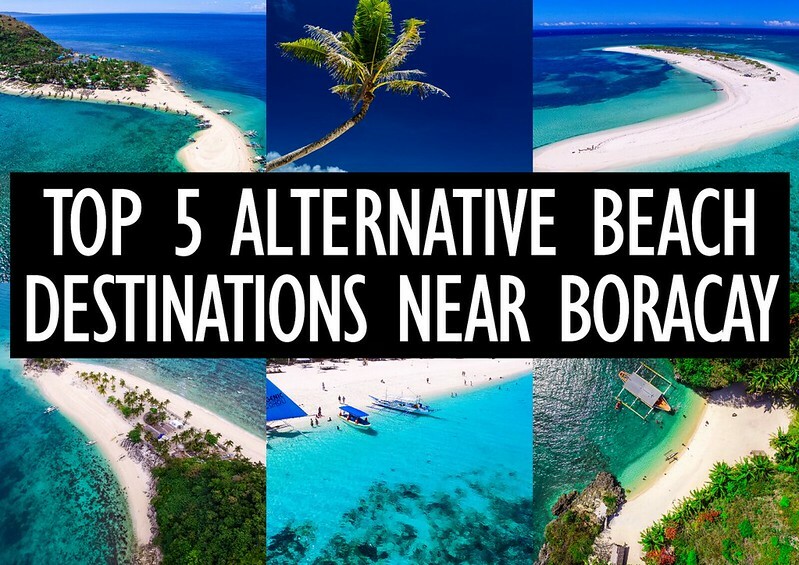 If you're one of those travelers who were supposed to visit one of the world's best beaches and are looking for options, here is a list of equally, if not better, alternative beach destinations near Boracay where you can enjoy the same white sand, crystal clear waters and scenic tropical view. Take note that the word "near" is subjective and some of these locations may not be convenient for some travelers who are originating from Caticlan or Kalibo. For travelers who have cancelled flights to Caticlan or Kalibo due to the closure and were given a chance to change flights, I recommend that you re-route to the airport closest to these locations. These places are all located in Panay Island in Western Visayas and neighboring province that offer plenty of hidden gems and amazing natural attractions – more than just Boracay. Carabao Island is an underrated beach destination that is located just less than an hour away from Caticlan or Boracay Island. It belongs to the town of San Jose in the province of Romblon, and is accessible by boat. Locally known as "Hambil", one can either charter a boat from Bulabog Beach or any parts of Boracay, or take a passenger boat from Tabon Baybay port in Caticlan to get to Carabo Island. HOW TO GET THERE: Click here to read my quick travel guide and tips. WHERE TO STAY: Click here for discounted rates on Romblon accommodations. Said Beach, I think, is the best beach in Carabao Island, next to Lanas Beach. I call Said Beach as the twin sister of Boracay's White Beach just minus the crowd, noise and big resorts. They both are laden with superb white sand and dotted with palm trees. If you're taking the passenger boat, Said Beach will greet you as you arrive in the island as this is where the port to enter the island is located. Lanas Beach, on the other hand, doesn't have the fine white sand like Said does, but this is where you can find most of the resorts. Aside from the beautiful beaches, another interesting spot to check out in Carabao Island is the Kuding-Duding Dive Point. If you're feeling adventurous and want to cliff dive into its turquoise blue water, then this place is for you. Otherwise, you can enjoy swimming in the crystal clear waters while exploring the caves hidden in the limestone rock formations. Getting there is a bit of a challenge though because of the bad road condition. You can hire a motorcycle driver for a day tour and this will be included in your itinerary. If you're not contented with Carabao Island, you can explore more of Romblon's unspoiled beaches. From Carabao Island or Hambil, you can cross by boat to much bigger Tablas Island, Romblon Island or Sibuyan Island where you can see the beautiful sandbar of Cresta de Gallo Island. Malalison Island is another great alternative if your feet are itching for white sand beach and is located in Culasi, Antique. Also locally called as "Mararison Island", it is accessible by a 20 to 30-minute boat ride, depending on the sea condition, from Culasi port or mainland. Malalison Island offers a stunning sandbar, white sand beach, crystal clear waters, and rolling hills that you can hike up to see the gorgeous view of the surrounding sea. HOW TO GET HERE: Click here to read my quick travel guide and tips. WHERE TO STAY: Click here for discounted rates on accommodations in Antique. Seco Island is another hidden gem of Antique which is under the municipality of Tibiao, but is also accessible from Malalison Island in Culasi. If Malalison Island is easily accessible from the mainland, going to Seco Island is riskier and requires a bit of adventure. Seco Island is at least 3-4 hours away by boat from Malalison Island and is highly advised to visit during summer. Departure time normally starts as early as 3 in the morning while the sea is still calm as you will be cruising on the open sea using a big wooden outrigger boat. The long boat ride is worth it once you get there as Seco Island possesses one of the whitest, if not the whitest, sands I've ever seen. It's an elbow-shape island that is so pristine and truly untouched. There are no resorts or any facilities there so you will need to bring your own tents, food and stuff if you wish to stay overnight in the island. Make sure to coordinate with Culasi or Tibiao tourism offices as necessary permit is required before going to the island. HOW TO GET HERE: Click here to read my quick travel guide. WHERE TO STAY: Click here for discounted rates on Antique accommodations. I consider these two as the best destinations in Antique and my personal favorite as a beach lover. For explorers and adventure seekers, Antique is proud to offer more natural and historical attractions which include century old churches, Nogas Island, Sira-an Hot Spring, Mount Madia-as, Bugtong Bato Waterfalls, Tibiao River, and so much more. For fun, don't miss to try the Kawa Hot Bath in Tiabao. Gigantes Island in Carles, Iloilo has been gaining popularity in the last few years and has drawn many tourists because of its exotic view, unspoiled islands and delicious seafood. Considered as Iloilo's best kept secret, Gigantes Islands is closer from Roxas City and Iloilo City as your entry points. The jump-off point to Gigantes Islands is normally the Estancia Port where you can take a passenger boat or get picked up by a private boat by your resort or tour operator. For Gigantes Island tour packages, I recommend you contact Rhett Paul Bolivar of www.gigantesisland.com. 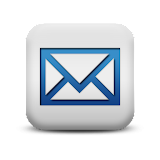 They offer island hopping tours, accommodation, and other travel services. WHERE TO STAY: Click here for discounted rates on accommodations in Iloilo. Guimaras is among the country's smallest provinces yet it has plenty to offer including secluded beaches, fine white sands, immaculate islands, and of course, the sweetest mangoes. The nearest airport is in Iloilo City, which is also the entry point to Guimaras Island. To get there, just go to Ortiz Wharf in Iloilo City and take a 15-minute boat ride to Jordan Wharf in Guimaras. From there, you can take a jeepney or hire a motorcycle/tricycle to take you to your desired destinations. Another jump-off point in Iloilo is the Parola Wharf that has direct trips to Buenavista Port, another entry point in Guimaras. However, the most popular and has less travel time to most destinations is the Jordan Wharf. I recommend that as well. WHERE TO STAY: Click here for discounted rates on accommodations in Guimaras Island. Alubihod Beach is probably the most popular beach in Guimaras and the usual jump-off point for island hopping. Getting the island hopping tour is the best way to explore some of the gorgeous beaches and islets. Click here to read more of my experience in Alubihod Beach. For more information about island hopping tours in Guimaras, click here. If you're looking for a more secluded beach, head out to Guisi Beach which is usually less crowded but offers fantastic view of emerald green water. There is also ruins of the old lighthouse in the area that you can check out. Click here to read more about Guisi Beach and why it's worth the visit. My recent discovery in Guimaras Island is the Tatlong Pulo Beach in Brgy. Sinapsapan in Jordan. Thanks to one of my Instagram followers who suggested this place to me as I've never heard about it before. Tatlong Pulo Beach is serene and less crowded and is just starting to get attention from the mainstream tourists. In fact, it has been shared almost 6,000 times since I posted about it last year on my Facebook page. HOW TO GET HERE: Click here to read my travel guide and tips. Apart from these, you can explore more of Guimaras' natural attractions such as Nagarao Island, Baras Beach, Villa Igang Beach, Roca Encantada, Sad-Sad Falls, among others. I did not plan to include this but many people don't know that Boracay is more than just the White Beach. Found in other parts of Boracay Island are hidden spots that's off the radar of most tourists. Here are some of them. If you think #Boracay is all about the world-famous White Beach, it has other beautiful beaches unknown to many tourists. I wanted not to share this but I hope this doesn't get abused and destroyed by commercialization too. Now that I've shared this with you, please do me a favor. Please do your part in taking care of our environment and preserving our natural attractions. Whether you are on the beach, waterfalls, on top of the mountain, middle of the ocean, EVERYWHERE, keep them clean by not leaving your trash and picking up if you see one. Also, part of the responsibility goes to the LGUs who should enforce policies and strictly implement them to protect and sustain local tourism. This includes making sure the local businesses comply to environmental laws. This is the main reason why Boracay is shut down in the first place. We're not even talking about corruption and sort yet. Six months may not be enough but I hope the temporary closure of Boracay can save the island and help it recover from further devastation. Let this serve as a lesson. 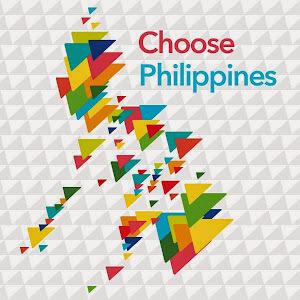 Do you have other suggestions for a good alternative to visit near Boracay? Please comment down below!